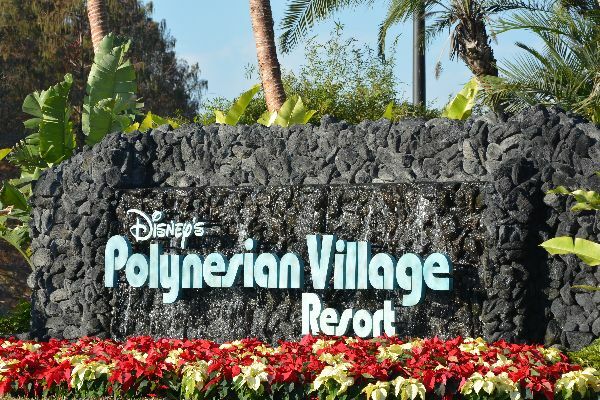 Back in 2012 I made my first visit to The Polynesian resort, I had a dinner reservation at Ohana and had heard so many good things about both the restaurant and resort but no amount of warning could have made me ready for what this one ADR would do to me. The dinner? absolutely amazing and become a future must do, in fact this recent trip is the only time I've been to WDW and not eaten there since, but anyhow we're not here to talk Ohana, we're talking about the resort it's located in. The first time I ever walked into that lobby, I was in love, most people feel the way I did when seeing The Grand Floridian but for me, The Polynesian was my heaven. It was beautiful, the theming was amazing and beyond perfect, it instantly become my new dream, my previous one had been to stay at The Contemporary which I was actually doing on that trip, well Bay Lake Tower (which you can read about here) but it's almost the same thing, right? now I'd found a new, bigger and better dream, well as far as Disney resort hotels are concerned. However every trip after I cried abut how expensive it was and just couldn't justify the cost, it seemed like it would forever stay a dream. But then, this is Disney and when it comes to Disney dreams "no request is too extreme" and 5 years of dreaming, wishing, hoping and praying for a lottery win and my dream came true, I finally got to stay at this beautiful resort, it may have only been for 1 night but 1 night is far better than no nights. We arrived at The Polynesian on the monorail after a long day at Magic Kingdom and had the loveliest cast member check us in and do all the usual - hand magic bands over, directions to room and so on and off we went to find our room. Just walking through the grounds, despite is being dark we were both so in love with it all and wishing already our stay here wasn't so short, if it hadn't been our last full day we'd definitely had made more time to spend at the resort because it really deserved it. Walking into our block, Tokelau, we were having one of those pinch me, is this real moments already and when we walked in to our room, well those feelings went up 10 notches, it was BEAU-TI-FUL! yes, that's the castle, I did not expect that at all, I was told we'd be staying in a standard room and to have a Magic Kingdom view just blew me away, not to mention left me a little emotional and thinking how lucky I was and how magical and perfect this was to end the trip on, thank you Disney for making my stay at my dream resort the most perfect it could have been. The next morning I couldn't stop standing on the balcony and just admiring the beauty that was our view, I really wish I could have sat on that balcony all day long, it was so peaceful and perfect, listening to the boats, Cinderella's castle in the distance and enjoying a Mickey shaped rice krispie treat for breakfast just felt like I was in heaven, in that moment I was in my own world and it was filled with nothing but magic and happiness, it's moments like that which I'll treasure forever, I just don't know how any resort will ever compare to this now and I'll probably forever wish that every stay could be here but unfortunately the money fairy doesn't seem to have figured out where I am yet ;) daydreaming with my beautiful view had to come to an end and it had come the time we all dread, check out time and to enjoy our last few hours in Magic Kingdom before saying 'see ya real soon' to Walt Disney World and leaving our hearts where they belong. Ugh this makes me want to stay here so badly. Lovely pictures and very informative post- I can only imagine how peaceful and beautiful this was.